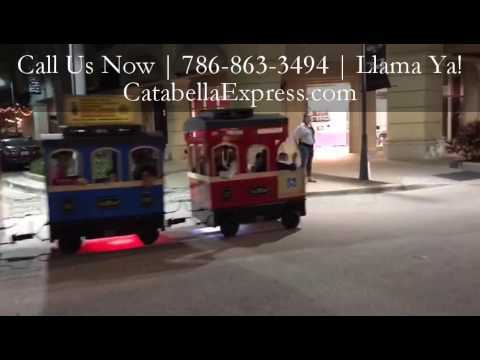 The Catabella Express Train is the most beautiful train out there, and we are having it available to come to any event. 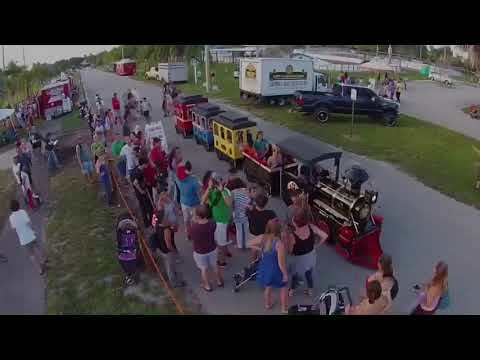 It's equipped with green technology, vintage whistle, LED lights, full sound system, fake smoke, ADA accessible, it is the dream train kids love to ride! Want something fabulous at your next party? Bring the Catabella Express Train! 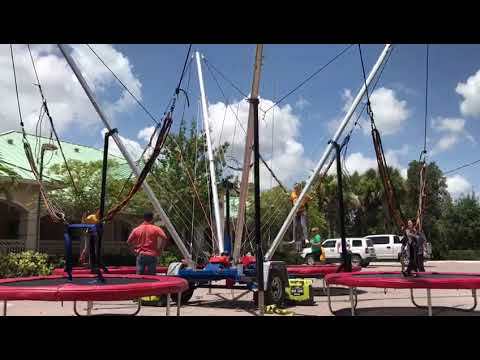 We also offer the Bungee Trampoline, 2 or 4 Stations of Jumping Fun, see album for pictures and videos. We just had my sons b day party and all the kids loved the train of all ages. They went on it over and over again. It was easy and the kids could not get enough! The Catabella Express is the most beautiful train I have seen out there, my grandson loves trains, every year since he was 1 we've done a Train Theme and this is by far the most beautiful and clean train we have ever seen (He is now 8 yrs old). From the booking process, through the day of the party the service was excellent, highly recommend. We offer the best quality and the best service! We arrive timely and guarantee the children will have fun! I am a father and owner of the Catabella Express Train, named after my children as they were the inspiration to this venture. -Santa Sleigh which gets added to the back of the train, or can be used as a photo opportunity. We can play on our train YOUR music, if you have a theme, lets us know. NO GRASS, need a hard surface.